Our tour begins in Delhi, from where we drive north into the mountains. 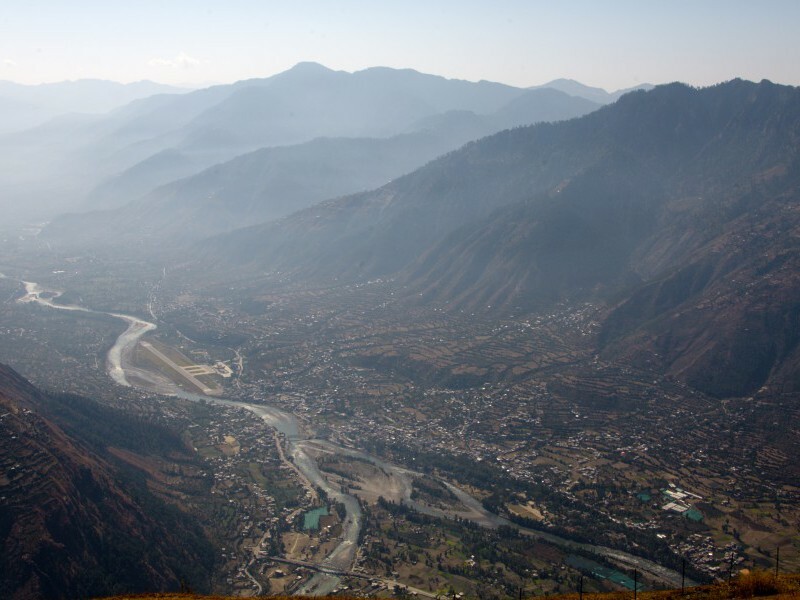 Our first stop is Mandi, an old trading center at the entrance of the lush Kullu valley – the start of the Himalayan foothills. 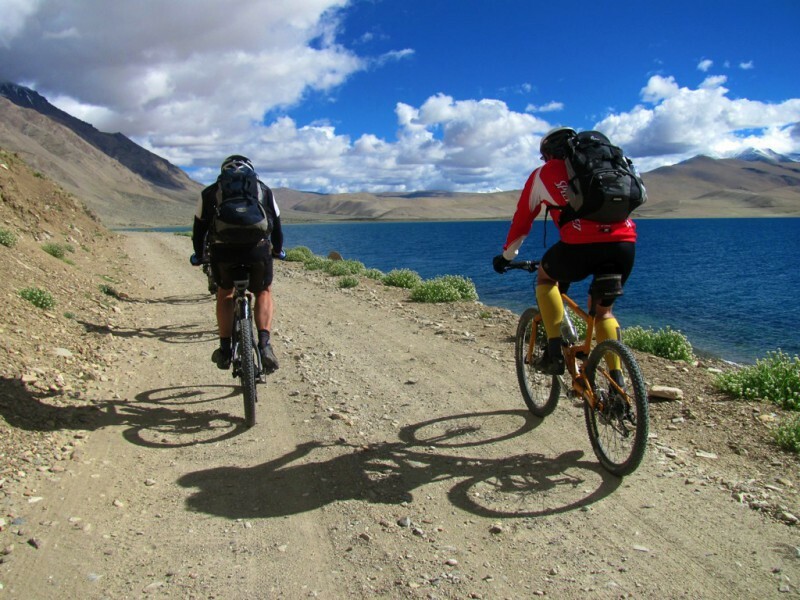 We spend two nights further up the valley in the laid-back town of Manali, taking a gentle bike ride to acclimatize while exploring the local sights. 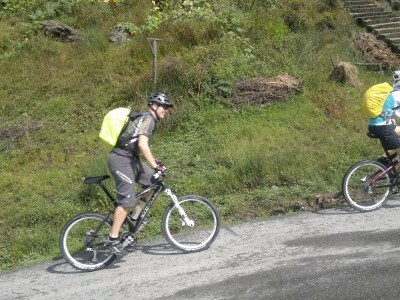 For the next ten days we cycle each day with some long and challenging rides as we ascend into the high Himalaya. Accommodation is a mix of camps and hotels. 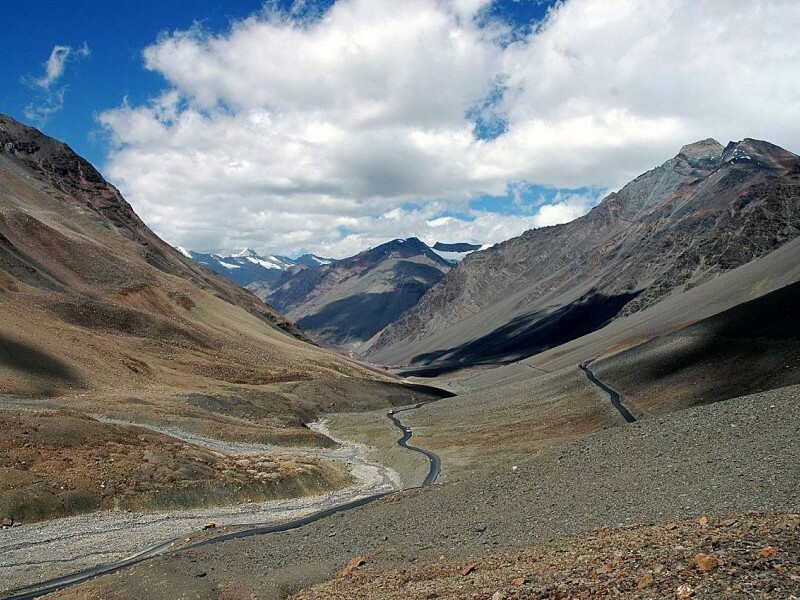 The first pass to cross is the Rohtang La (3,980 metres) that leads us into the semi-arid Lahaul valley. 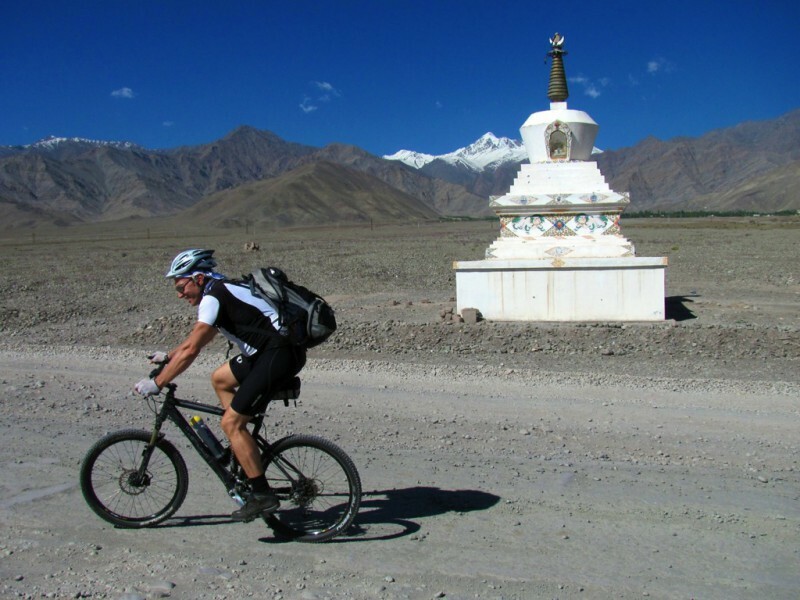 From Lahaul we head over the Baralacha La (4,890 metres), the point at which the route crosses the main Himalayan range, to arrive in Zanskar. The scenery becomes more barren as we cross the Nakee La (4,740 metres) and Lachulung La (5,059 metres) and arrive on the Changthang plateau. 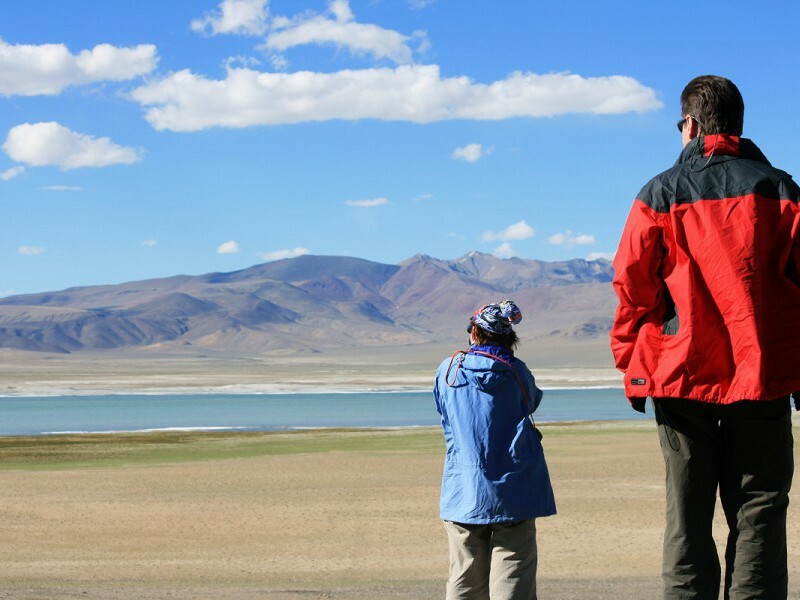 We camp at the high altitude Tsokar Lake close to Tibetan Changpa nomads, amid staggering scenery. 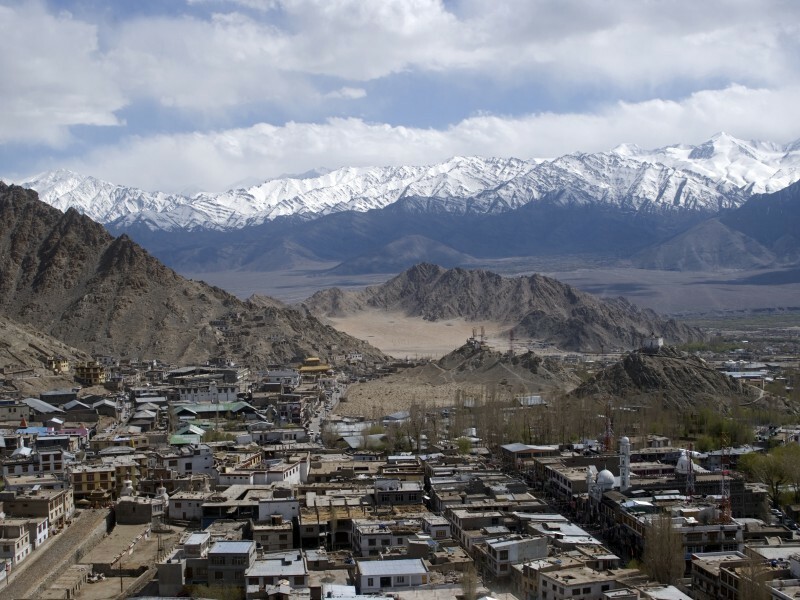 Next we cross our final pass, Tanglang La (5,359 metres), to reach the enchanting Ladakhi capital of Leh. 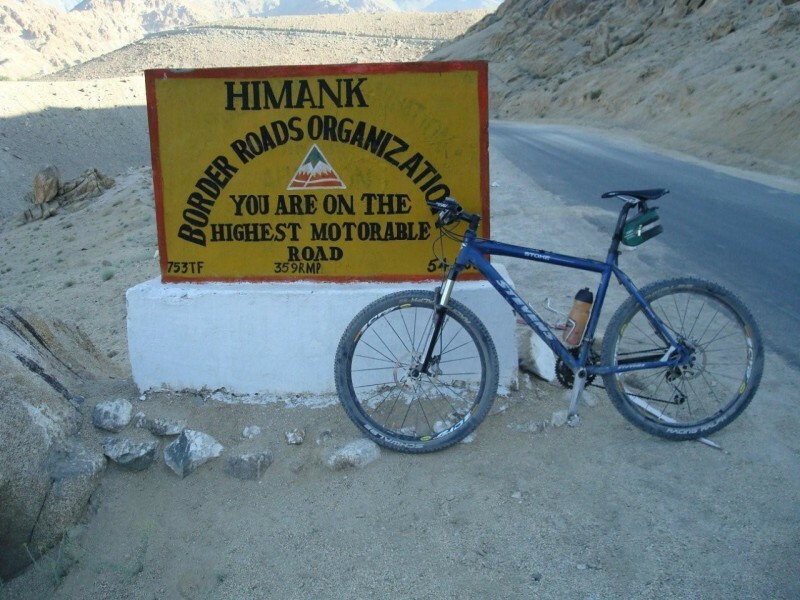 From Leh we take a day-ride to Khardung La, the highest motor-able pass in the world. 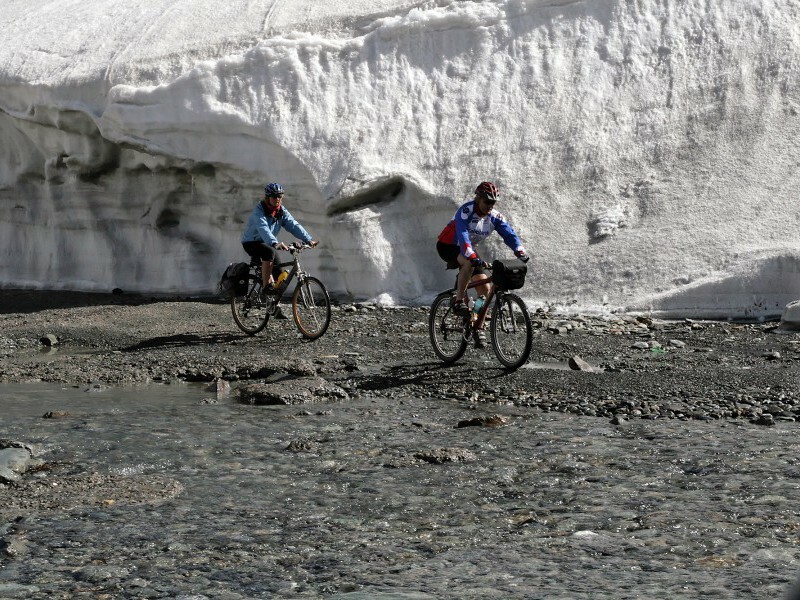 Over the course of our tour, the scenery changes from verdant deodar forests and flower-filled valleys to barren lunar landscapes with towering icy peaks. 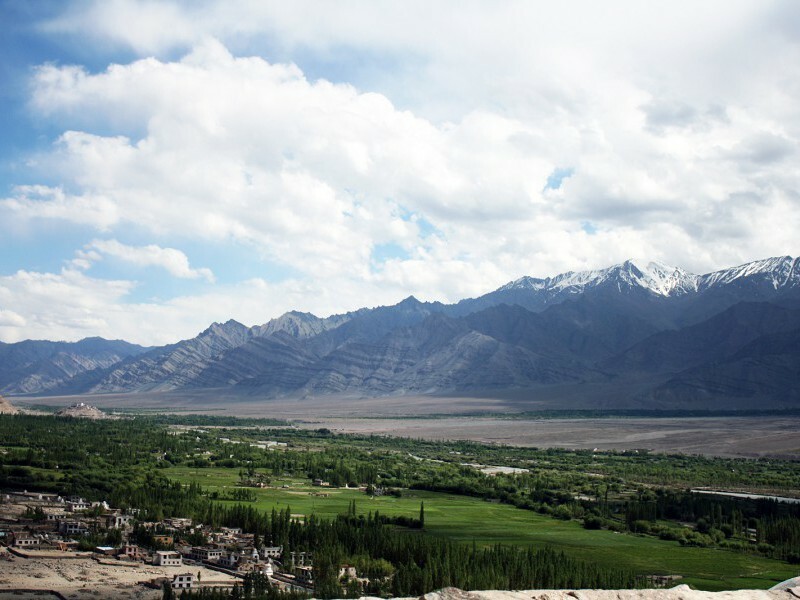 Alongside this natural splendor, the old Buddhist culture of Ladakh provides rich cultural interest. We explore the long history, religion and traditions of this remote land and its people by visiting villages, small towns and their tranquil temples and monasteries perched high on cliff-tops. A full day relaxation in Leh brings the tour to an end. 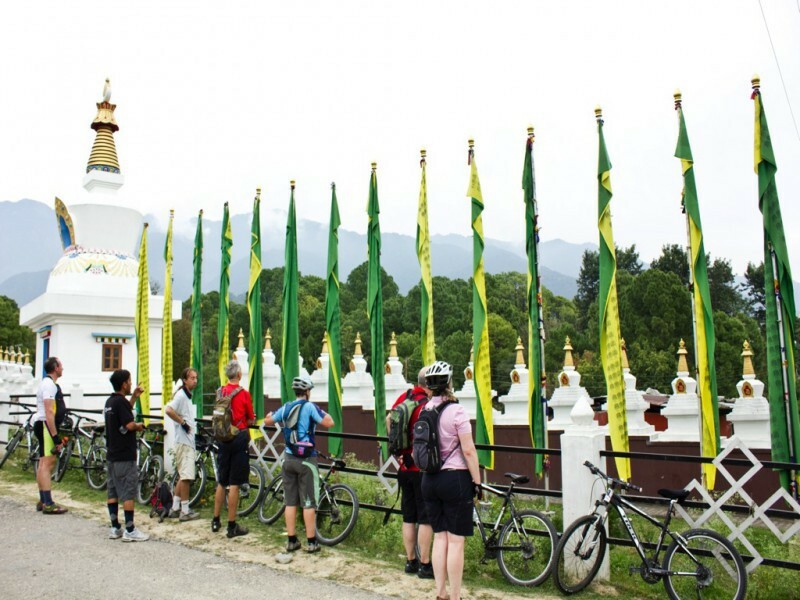 Magnificent landscapes all through the tour. Khardung La (5,602 meters), the highest motorable pass in the world. 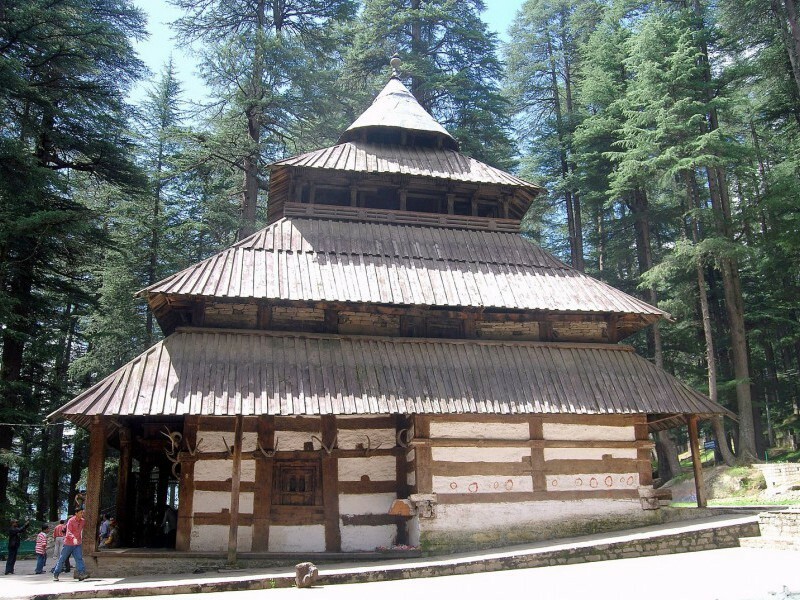 Manali and the picturesque Kullu Valley. 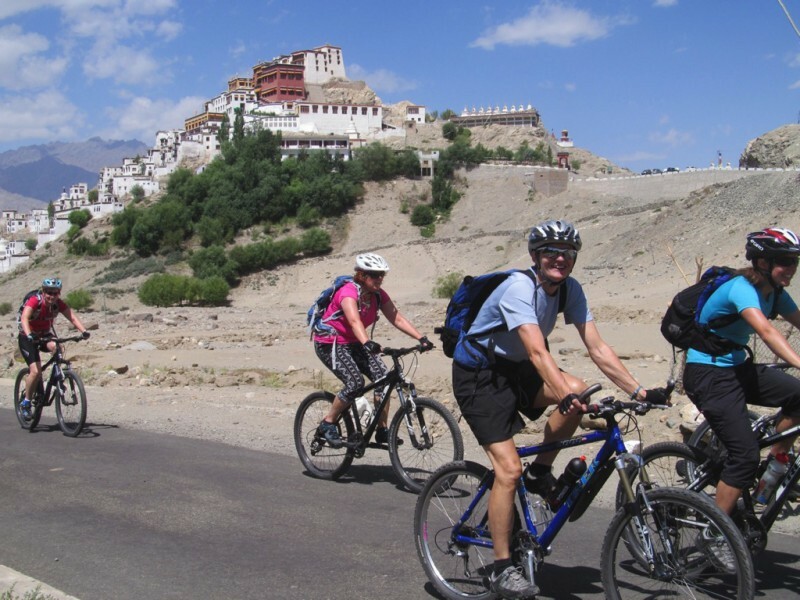 Upon arrival in Delhi in the morning flight from Leh we have enough time to relax or shop. In the evening we are transferred to International Airport to board the flights back to our respective destinations. 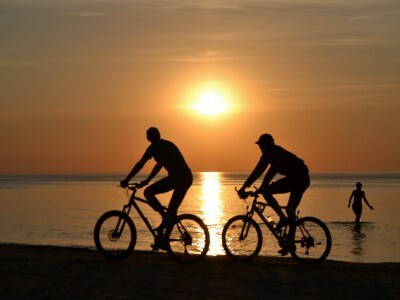 Combination of moderate and strenuous 6-8 hours of activity per day with very steep uphill and downhill sections, often at high altitudes. Some physical preparation recommended.